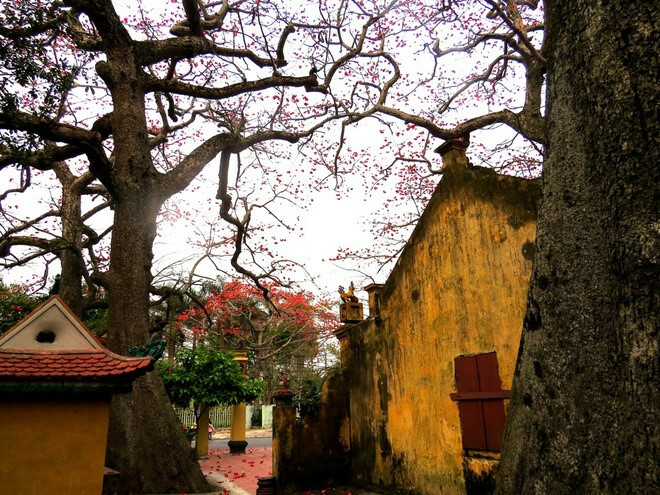 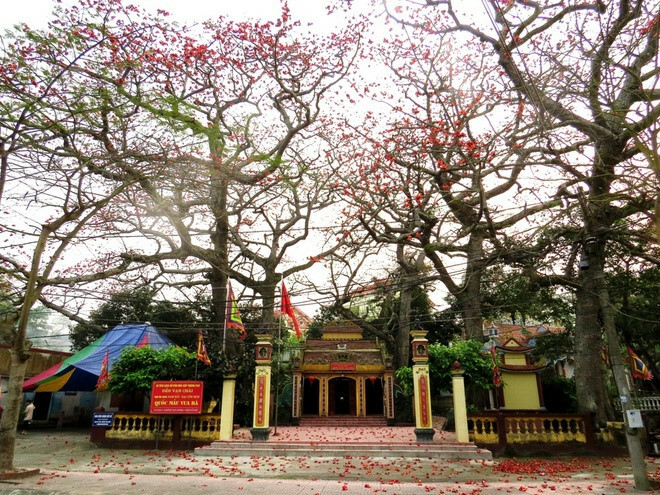 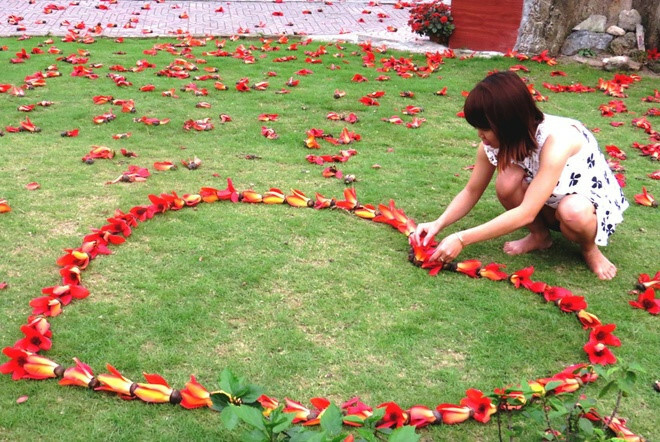 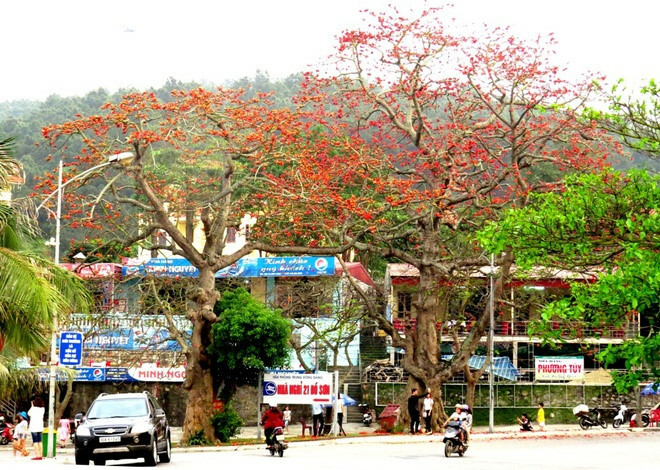 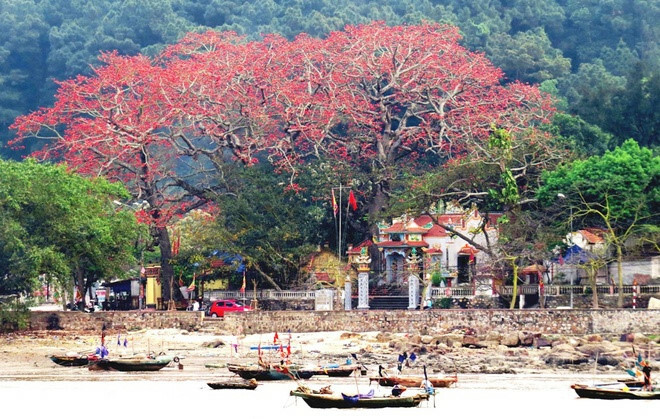 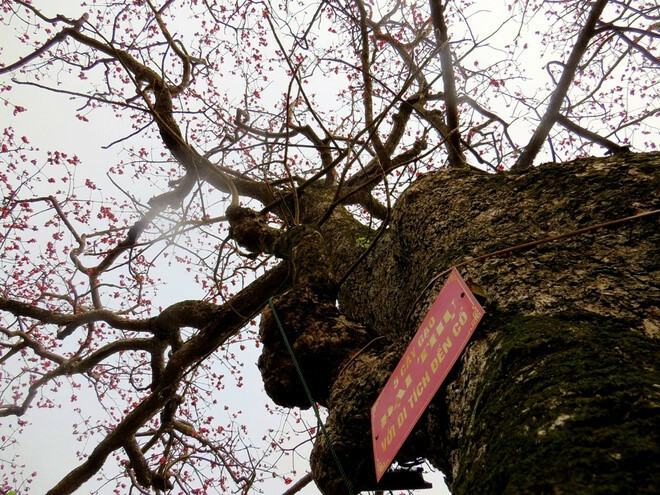 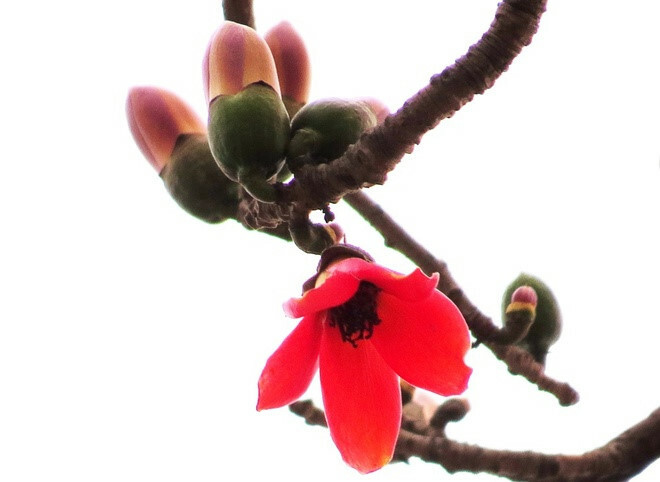 Red silk cotton tree flowers, also known as Bombax ceiba, in Do Son district started to bloom these days, turning the popular tourist destination into a giant red carpet. 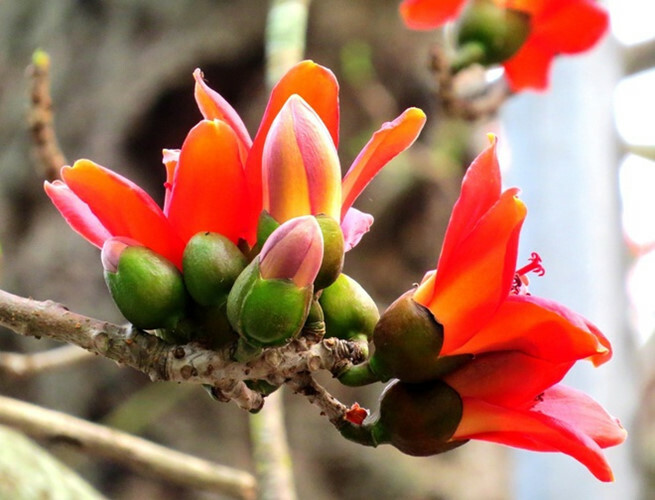 Bombax ceiba grows to an average of 20 meters, with old trees up to 60 meters in wet tropical weather. 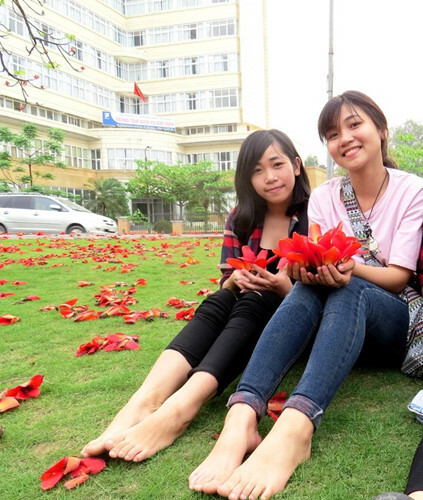 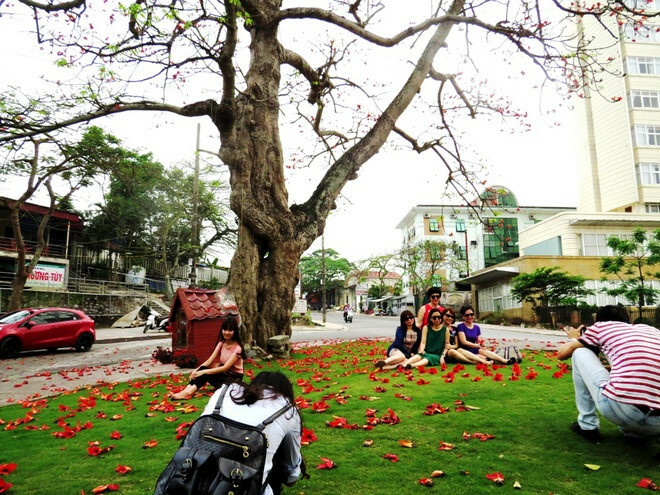 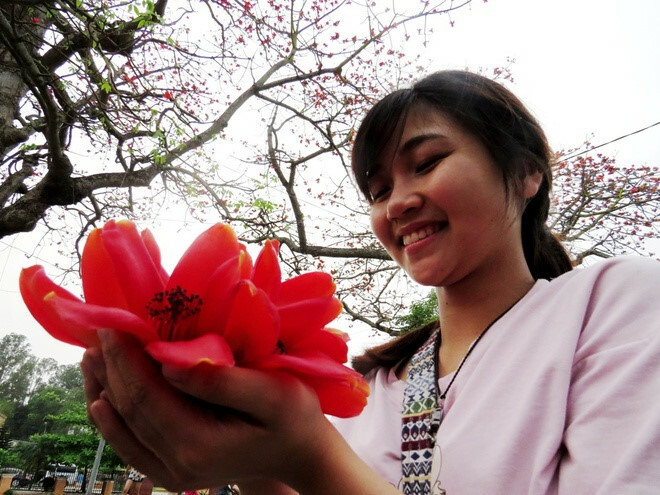 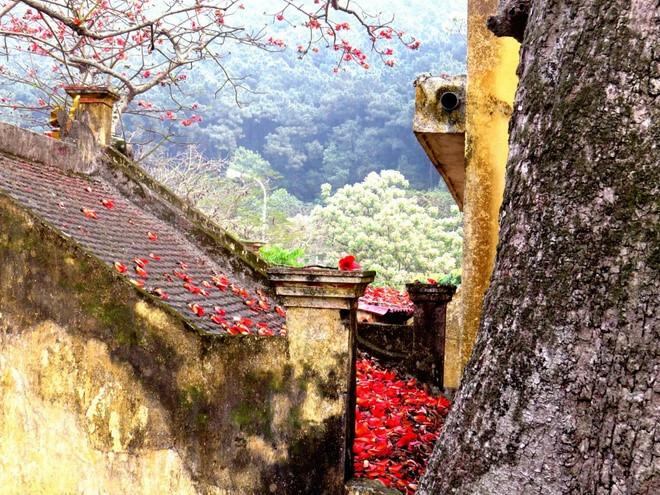 Walking along streets, tourists are amazed by the charming red cotton flowers. 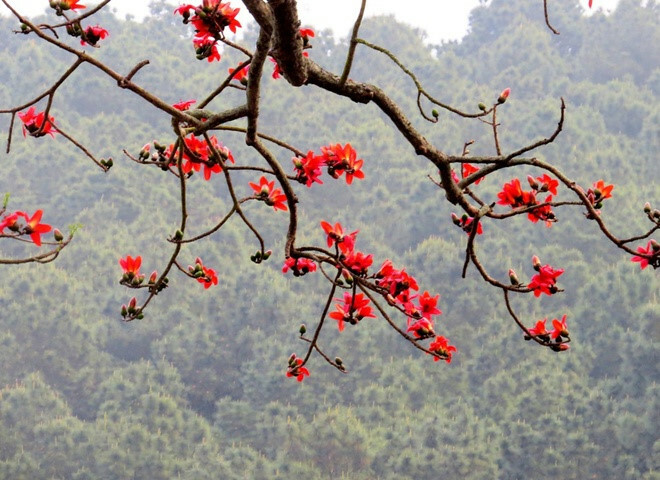 It makes Do Son more romantic and energetic than ever to attract a large number of people to the feast of colorful and fragrant blooms.